It seems like most of my posts lately have been focused on beauty but I am 100% ok with that! I hope you had a chance to check out my previous post about some of my new favorite beauty products because included in that list were some products from the brand Lanolips. I had been following them on Instagram for while and was curious about their products since I'm always looking to add to my beauty bag! They kindly sent me some of their best sellers and I have been loving each one! 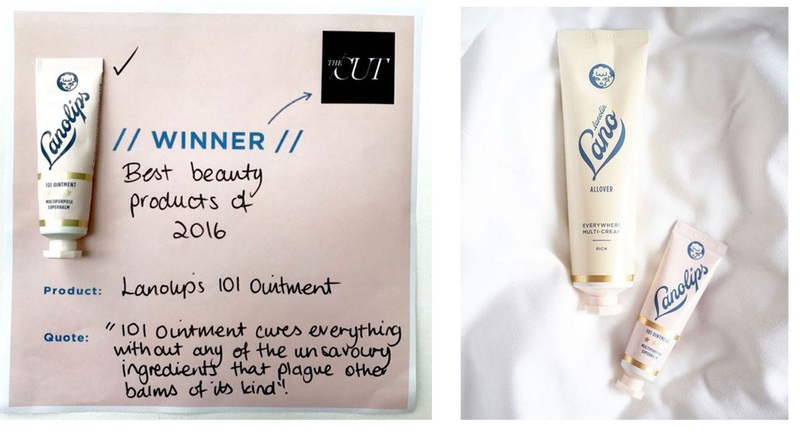 The Original 101 Ointment has been my saving grace recently! Its a super creamy formula that feels amazing on chapped lips! I put on a thick layer before bed and my lips are super hydrated in the morning. Also, a little bit on your cuticles will work wonders! I have been loving their tinted lip balm as well! I will use this to finish off my makeup look and add a little bit of color as well as hydration. The formula is just as creamy as the Original Ointment but leaves a really pretty glossy look as well. I use the shade rhubarb and its the perfect pink tint if you want to add a little bit of color to your makeup look. It comes in two other pretty shades that I'm excited to try out! Of course I had to try their sheer banana balm too! If you like banana, then you'll love this! Its a sheer tint but leaves you with a gorgeously glossy look all while conditioning your lips! The brand focuses on lips - hands - and allover. 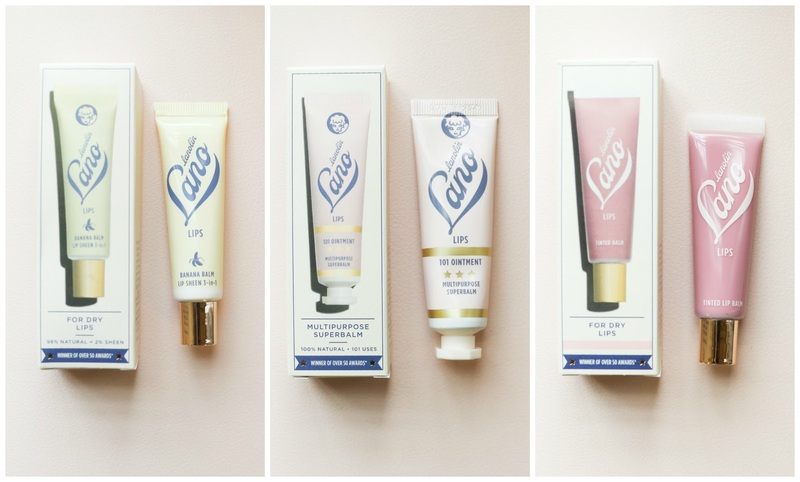 I have yet to try the Rose Hand Cream but if their Everywhere Multi-Cream is any indication then I'm sure its amazing. I use the Multi Cream after showering and it leaves my skin feeling silky and moisturized. The added Vitamin E serves as a conditioner while the lanolin focuses on moisturizing! Have you tried an Lanolips products? What are your favorites?